I love to read, and I’m a creature with a lot of interests, so I read all kinds of fiction and non-fiction. I even sample books starring vampires, zombies, and werewolves, though most of those give me nightmares so I don’t indulge too often. I hop from cozy mysteries to women’s fiction, on to thrillers and back to noir mystery, then jump to a lovely romance (like Wedding in Provence by Ellen Sussman) before grabbing something by Anne Lamott (I’m anxious to read Small Victories: Spotting Improbable Moments of Grace) or a bit of World War II history (recently finished We Band of Angels: The Untold Story of the American Women Trapped on Bataan by Elizabeth M. Norman). Anything in print is fair game, but there is one genre I’ve neglected. 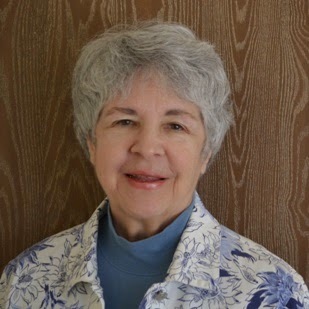 I’m ducking my head in embarrassment because I’m guest blogging here at Susan Gourley’s site, and Susan writes novels of high fantasy. Yep, that’s the one. I was over fifty before I finally bought and read the entire Lord of the Rings collection. I loved them, of course, but still was reluctant to spend a lot of time with new fantasy authors trying to understand the complex plots lines and world building process, both very important to understanding the genre. One popular fantasy writer, Carol Berg, lives in my town in Northern Colorado, so when I had a chance to chat with her recently about her many novels, I discovered she had a standalone called Song of the Beast, written some time ago but recently reprinted. Hmmm. A standalone. And not a really long one, either. I can manage that, I thought. And when I found out Song of the Beast had won a Colorado Book Award, I bought a copy from Carol on the spot. You’ve probably guessed by now that Song of the Beast opened my eyes to the wonders of amazing fantasy novels from contemporary authors. It’s beautifully written. I fell in love with the characters. And I’ve discovered dragons. Oh, my. What magnificent creatures exist in this novel, and they are able to communicate with our main character in mysterious ways. Is it any wonder I then scanned Susan’s list of titles to see if she had one that included dragons? Or that the novel, First Dragon, jumped right onto my Kindle with hardly a moment’s hesitation? That little story leads me to the real point of this blog post. As readers and/or writers, we limit our world and our experience when we restrict ourselves to one or two favorite genres. I believe it’s important to read in the genre we write, but I think it’s equally important to read in the genres we’ll never write. There are secrets to be learned there. And for non-writers, becoming an eclectic reader is educating oneself in the most delightful way. 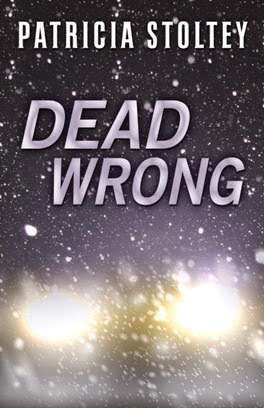 Patricia Stoltey is the author of two amateur sleuth mysteries (The Prairie Grass Murders and The Desert Hedge Murders) plus her new release, a standalone suspense novel about a woman on the run (Dead Wrong). She lives in Northern Colorado with her husband and the extremely demanding Katie Cat. You can learn more about Patricia at her website (http://patriciastoltey.com). Visit her blog (http://patriciastoltey.blogspot.com) to check out her frequent guests, including Susan who will be there on February 26th. Patricia can also be found on Facebook, Twitter, Goodreads, and Google+. Do you know Patricia? Are you an eclectic reader like she is? Did you enter her Goodreads giveaway? Are there genres you recently discovered that you found you like? Nice to meet you Patricia! I also regard myself as an eclectic reader... of both fiction and non-fiction. I've learned that, to grow as a writer, one should be open-minded, and at least TRY to read across genres. As a result, I've extended my reading to include other genres, and to date, the only genre I haven't read YET, is steampunk... oh, and high fantasy. But I intend to rectify that. Soon. Nice to meet you too, Michelle. I was introduced to steampunk when I helped judge entries for the Rocky Mountain Fiction Writers Colorado Gold Contest. I had to study up on the genre before I could do my job, but found the ideas intriguing. I'll be reading more there as well. Glad you finally got into fantasy! One of my favorite genres. And thanks to my blogger buddies, I've really many genres I never thought I would enjoy. I get a lot of help there, too, Alex. I've found some wonderful YA novels through the bloggers I've met during the A to Z Challenge. Hi Pat....I will admit to favoring crime fiction, but just lately I developed an interest in short stories, so now I'm cruising through a bunch of anthologies. There's always something new to explore. Susan, thank you so much for the kind words. As readers who love great stories, it only makes sense that we should also love the authors. Featuring them, especially debut authors, on my blog is my way of celebrating their hard work and creativity. I so enjoy reading the posts on your site. The authors all seem to have something interesting or educational to share. Hi Patricia. I didn't expect to run into you over here. When people ask my what I like to read, I answer, "books". I'm not trying to be funny, I really do love all different kinds of books. I agree with you, it would be a loss to limit ourselves to one or two genres when there are so many great stories out there. I've been popping up in all kinds of interesting and fun places lately, LD. And Susan will be guest posting at my blog on February 26th, too. The blogging network is alive and super supportive. Sure, Patricia is one of those I discovered early in my blogging and so good to see her at your site, Susan. Patricia, I agree about not only eclectic reading but living eclectically to get the greatest experience out of life. I find myself leaning more toward non-fiction and books of a spiritual nature, but I guess I've read just about every genre including Romance. I think as a writer the reading of many genres helps me to improve my craft. As a reader I become more informed and attain a wider world view by sampling books of many kinds. I can get bored if I just stick to the same thing all the time so I like to rotate my reading. Excellent topic for us all to consider. HI Lee -- and thanks to you for being the guy who drew me deep into the world of blogging with that first A to Z Challenge. I'm seriously depressed that I'll miss the challenge this year because of this stupid knee I need to get fixed, but maybe I'll pre-schedule an A to Z list of whines on my blog .......just for fun. :D I do plan to fill in my time with reading and writing short book reviews, though, so I'm open to suggestions for great reads. Hi, Patrica! Being an eclectic readers is fun. I enjoy reading books in all genres and have found many treasures that way. Do you read YA books as well, Chrys? There are some really good YA authors in my town as well as throughout blogging world -- I like to visit the teen shelves at our library once in a while to see what's new. The writing is so good, and the plots are unique, and the characters open up that world of young people I don't have in my life these days because my own kids are in their 30s and 40s. My most recent favorite YA authors are Maria Sharif (another blogger I met through A to Z), Todd Mitchell, Aaron Michael Ritchey, and Amy Kathleen Ryan (the last three are Coloradoans). Wise words, Patricia. I do read a lot in the genre I write, but I also love reading just about everything else. For me, it's all about the voice. If the voice is good, I can read (almost) anything. I agree, Jenn!. Voice is so important. And some writers find theirs right away while others struggle for years. I believe you know if it's there by reading the first ten pages. Thanks Tyrean! Yes, romance can be a mood lightener. I'm even a sucker for those holiday romance movies on Hallmark Channel. I read a variety and as a result, I've written in three different genres. Branching out is good, Diane. I have a historical manuscript, too, but it still needs a little work. Congrats, Patricia!! I read a ton of different genres, too. There are very few I don't like! I remain wary of novels with vampires, werewolves, and zombies because of the nightmares, Liz, but when a member of my critique group submits that kind of thing for review, I dig right in. If the writing is really good and the plot a little unusual, I'm hooked. Nice to see you here, Pat. I shouldn't probably say it here, but I haven't read much fantasy either. Still, I love it that you're such an eclectic reader. I think that makes a person a better writer. Margot, we meet in some of the nicest places, don't we? Susan's blog is wonderful. And yes, I hope reading a wide variety of books will keep me growing and getting better. It's a fun way to get educated, that's for sure. Hi Pat and Susan. I admit to being pretty tight in my reading selection until I started writing and met Pat soon afterward. Her blog and being with other writers and reading their work has opened by world to many new encounters. Thanks to you both, and everyone else who writes their stories. Hi Dean! That's an added joy of being part of a large writing group, isn't it? I love reading my friends' books, and they write in so many genres and cross-genres that there's always something new to try out. I love it when a good book just drops into my lap :) I'll have to check out first Dragon; I have been disappointed with the new fantasy authors also. Ahem, haven't read any of your novels Susan so that comment is not aimed at you. I am also challenging myself to read in more genre's, though YA anything will likely be the last I seriously try. Nice to meet you Patricia.